Finding the best go-to-market strategy is just flat out hard. If anyone tells you otherwise, they either don’t know what they are talking about or are trolling you. Striking the right balance of pricing and packaging is hard enough. But if you have an application, you have to factor in the sign-up and onboarding process and decide to do a free trial, freemium, or force people straight into a sales engagement. Freemium in particular has gone through periods of being the “it” strategy, generally followed by people treating it as a panacea, failing, and then falling out of favor. Freemium right now is most often thought of for two different categories. First, consumer or “prosumer” apps like Dropbox and LogMeIn have proven freemium can help you build a giant SaaS business. Second, the assumption has been that freemium is better if you’re targeting small businesses (a la MailChimp) rather than enterprise customers. Turns out, our research tells us conventional wisdom in this case is wrong. Each quarter, Blissfully produces a SaaS Trends report, where we analyze actual spend and usage from hundreds of companies who use Blissfully to manage SaaS across their organizations. Unlike other SaaS trend reports that use surveys, we report on actual historical data. The data in this report offers arguably the most representative, historical view into SaaS spend and adoption since 2010, pulled through Blissfully’s proprietary data aggregation methods. You can find the reports here for reference. Like all product companies, we spent a lot of time trying to decide if freemium was right for Blissfully. Lots have written about it, but focused on analysis of what others have done to try and provide a model. 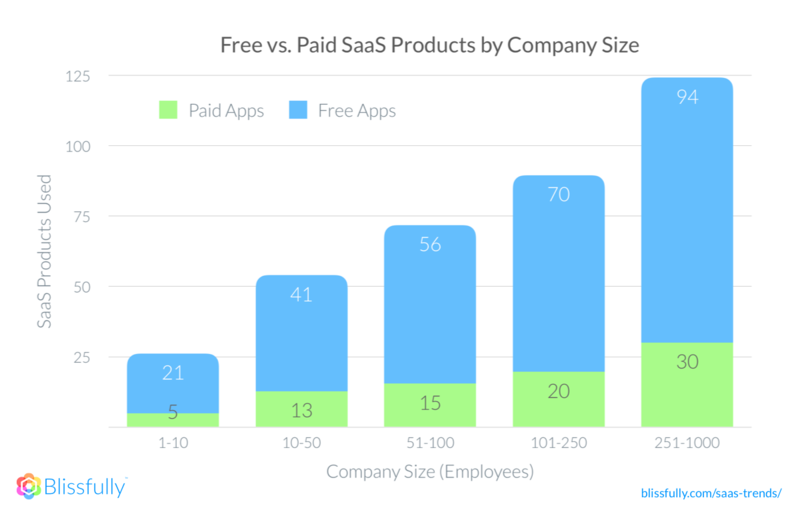 When we looked at the data of how actual companies adopt SaaS, we discovered companies use at least 3x more free apps than paid apps—regardless of company size. This trend blew us away, not only because of the ratio of free to paid apps (3-to-1?! )—but because companies with 500-1000 employees are just as likely to adopt free apps. This could signal a change in behavior of Enterprise IT, who are traditionally more controlling about which applications are allowed—and also more skeptical about “free” apps. It could also be a sign that “shadow IT” is far worse than companies understand. More importantly, it means if you’re thinking about go to market for your product—even if you’re targeting larger companies—freemium warrants serious consideration. From a SaaS vendor point-of-view, this trend points to the fact that the use of freemium tools isn’t slowing down, and the freemium business model is still valid as a major foothold into organizations of all sizes. It definitely illustrates a specific behavior when it comes to adopting SaaS—free works. Here’s a shocking statement for you: SaaS is ultra competitive. The number of SaaS apps has exploded in the last eight years. More importantly, it’s not slowing down—increasing 42% last year between Q1 2017 and Q1 2018. We are getting better about selling and marketing SaaS, and it’s getting easier to adopt. 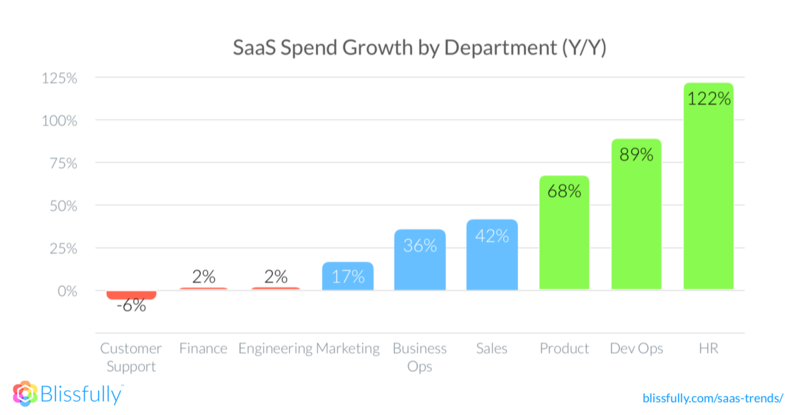 Year-over-year SaaS growth is spread across all departments and functions, with some categories showing more maturity versus growth. Some potential reasons for this trend could be that categories such as customer support, finance, and engineering are much more mature, whereas HR apps are exploding, with more and more entrants to ease the process of automation—particularly around the category of performance reviews. This highlights that there are different kinds of opportunities, depending on your product and who you are targeting. Growth in HR has been crazy, with some incredible apps like Gusto, Namely, Bamboo, and others proving there is still green field for SaaS in HR. Customer Support is the opposite, with negative growth overall. This is likely because it’s a mature market, with long established leaders like Zendesk and Salesforce dominating mind and marketshare. Typically this is a great time for disruption. The real take away though—regardless of which team your product is built to help or the company size most likely to fit—is that SaaS is successfully penetrating every department in every company. And if you’re a SaaS product trying to find the right go-to-market, freemium might just be the thing. If you combine the insight from our latest SaaS trend report and the recent success of apps like Slack, you can see that freemium isn’t just for prosumer apps like Dropbox or small business centered apps like MailChimp—it can also be an incredible way to penetrate large and enterprise companies. Two of the fastest growing SaaS companies in the world are Intercom and Drift, and while Intercom has taken a “Free Trial” approach, Drift has used freemium a number of ways to get companies into the funnel. Both are growing like rockets, and competing head-to-head for companies of similar size—only one uses true freemium. Freemium is not a silver bullet, and it’s not for every product. But the data shows it’s a more broadly successful approach than most would think. 2x Founder, 15 years in SaaS startups including LogMeIn, Zaius, and Boldchat. 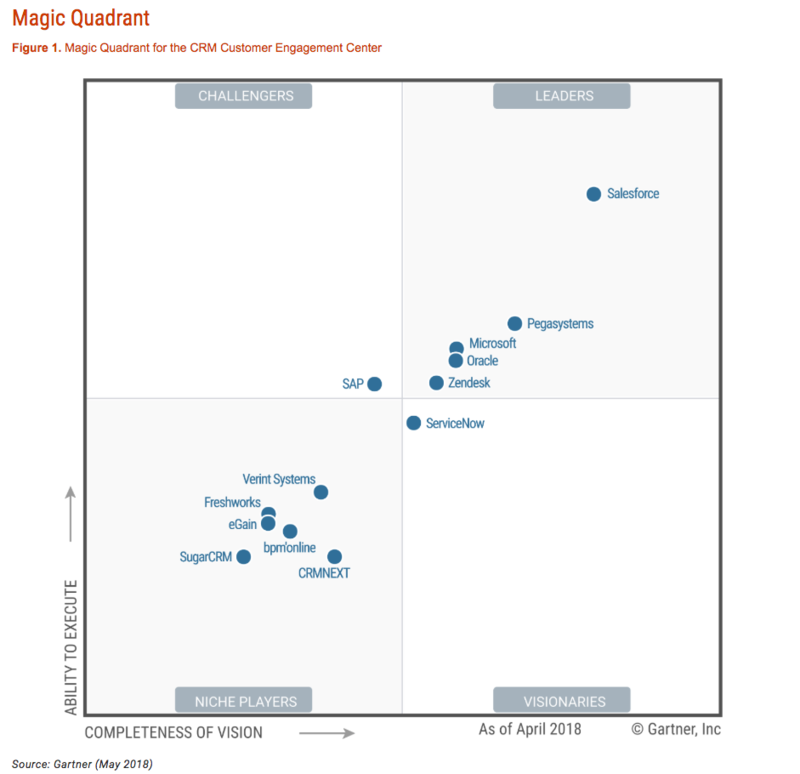 Obsessed with delivering great customer experiences that drive growth.